FERC Orders NERC to Develop Reliability Standards to Address Impacts From Geomagnetic Disturbances May 16 – FERC issued a Final Rule requiring NERC to develop new Reliability Standards to address geomagnetic disturbances (GMDs) to the bulk power system. GMDs result from the interaction of Earth’s magnetic field with highly-charged solar emissions that can occur during solar storms. The final rule largely follows the two-stage approach to developing Reliability Standards for GMDs that was proposed by FERC in its October 18, 2012 Proposed Rule, but allows NERC and regulated entities additional time to develop and comply with the standards. CommissionersNorris and LaFleur issued statements supporting the Final Rule. The Final Rule becomes effective on July 22, 2013. 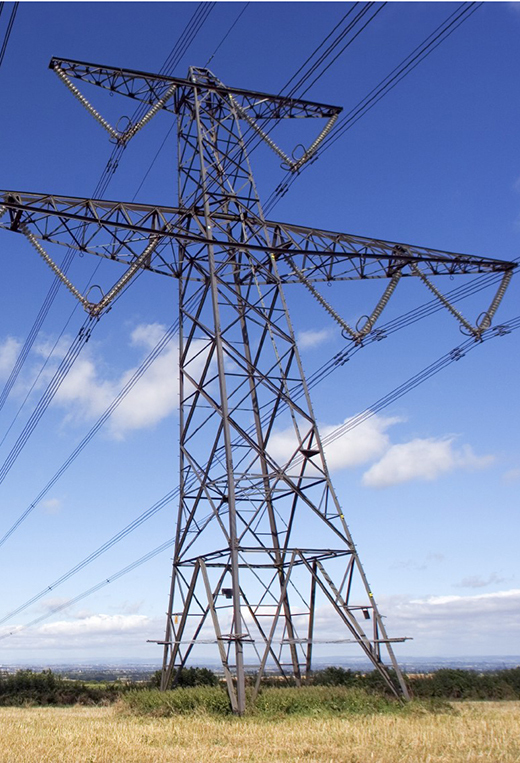 FERC Seeks Comment on Revised NERC Proposal on Non-Consequential Load Loss May 16 – FERC issued a revised NOPR on the proposed reliability standard TPL-001-4 filed by NERC in February 2013, seeking comment. The proceeding dates to April 2012, when FERC proposed to reject part of NERC’s proposed standard TPL-001-2—the provision on pre-planned “Non-Consequential Load Loss”—because it was vague and unenforceable. In February 2013, NERC submitted a revised proposed standard on planned Non-Consequential Load Loss that: (1) provides a 75 MW limit on the amount an entity can shed; (2) contains provisions to prevent arbitrary load shedding; and (3) prescribes an open stakeholder process as a prerequisite to implementing a load shedding procedure. Comments are due June 24. FERC Proposes to Remand NERC Interpretation of Reliability Standard BAL-002-1 May 16 – FERC seeks comment on a proposed remand of NERC’s interpretation of Reliability Standard BAL-002-1 (Disturbance Control Performance). NERC’s interpretation addresses “whether Balancing Authorities and Reserve Sharing Groups are subject to enforcement actions for failing to restore Area Control Error within the 15-minute Disturbance Recovery Period for Reportable Disturbances that exceed the most severe single Contingency.” FERC proposes to remand the interpretation finding that the interpretation may go beyond the permissible scope for interpretations to actually change the Reliability Standard. Comments on the proposed remand are due by July 8. Summer 2013 Energy Market & Reliability Assessment May 16 – Staff from FERC’s Office of Enforcement and Office of Electricity Market Reliability issued a Summer 2013 Energy Market and Reliability Assessment. Among other things, FERC Staff forecasts a warmer-than-normal summer, and a rebound in natural gas prices. They also foresee a potential for price spikes in southern California due to the ongoing unavailability of the San Onofre nuclear generating station. FERC Posts Results of MRO, RFC Audits – FERC has posted the final results of the Office of Enforcement’s audits of the Midwest Reliability Organization (MRO) and ReliabilityFirst Corporation (RFC). NERC Files Request For One-year Delay in the Effective Date of BES Definition May 23 – NERC filed a motion requesting that FERC: (1) grant a one-year delay in the effective date of the BES definition from July 1, 2013 to July 1, 2014; (2) shorten the comment period to May 30, 2013; and (3) issue an order granting the delay prior to June 30, 2013. NERC Posts Additional Documents to Facilitate New Bulk Electric System (BES) Exception Process– NERC posted additional documents to support its new “BES Notification and Exception Processing Tool”, including a BES spreadsheet for reporting system elements and a new reference document. NERC has also posted a link to the new procedure for requesting exceptions from the BES. NERC Board Approves Three Year Strategic Plan May 9 – The NERC Board of Trustees approved NERC’s Strategic Plan for 2013-2016. The plan outlines NERC’s mission, goals, and priorities. NERC Releases New Reliability Reports May 9 – NERC issued two reliability reports: the 2013 State of Reliability report, which “provides an integrated view of reliability performance,” and the 2013 Summer Reliability Assessment, which “identifies common themes or challenges across North America for the upcoming summer.” The reports were approved by the NERC Board of Trustees on May 9. NERC Postings – NERC recently posted (1) its 2012 Annual Report on its Compliance Monitoring and Enforcement Program; (2) a set of Q & A’s on its Reliability Assurance Initiative; (3) a Reliability Coordinator Compliance Analysis Report; (4) revisions to its Email Lists Policy; (5) revisions to its Standards Development Participant Conduct Policy; (6) a webinar on its Project 2010-13.2: Phase 2 of Relay Loadability; (7) 2014 Regional Entity Budget Plans; and (8) a webinar on its Draft Business Plan and Budget. NERC Filings at FERC – Recent NERC filings at FERC include: (1) Comments in Response to NOPR Proposing to Approve MOD-028-2; (2) Informational Filing on the Definition of “Adequate Level of Reliability”; (3) Compliance Filing in FA11-21 containing unaudited report of NERC’s budget-to-actual variance information for 1Q 2013; and (4) Errata Filing to the April 30, 2013 FFT Informational Filing. NERC Updates Website May 10 – NERC unveiled its new website, a major overhaul of its old website. The authors of the Reliability Update are still adjusting to the many changes. Regions Release Reliability Assessments – Both NPCC and Texas RE released reports assessing reliability performance in their regions. Markey and Waxman Release Report on Electric Grid Vulnerability May 21 – The staffs of new Congressmen Edward Markey (D-MA) and Henry Waxman (D-CA) released a report entitled Electric Grid Vulnerability: Industry Responses Reveal Security Gaps. The report strikes a partisan tone, blaming Republicans for failing to support certain legislation, and chastising utilities for incomplete responses to their January 2013 survey. Bill to Insulate Utilities from Environmental Penalties During Reliability Emergencies Clears House Panel May 15 – The House of Representatives Energy and Commerce Committee approved proposed legislation entitled the “Resolving Environmental and Grid Reliability Conflicts Act” (H.R. 271). If passed by both Houses and signed by the President, the legislation would clarify that utilities that comply with Department of Energy orders to continue operating during reliability emergencies may not be subject to penalties for any violations of environmental laws that are the result of those operations. Having been approved by Committee, the bill may now be debated on the House floor. Hacker Group Threatens to Target Oil and Gas Sector in June 20 Operation May 16 – According to press reports, the hacker group Anonymous plans to attack the oil and gas sector in a June 20 operation dubbed “Operation Petrol.” The group claims to be targeting assets in the United States, Canada, England, Israel, China, Italy, France, Germany, Russia and the governments of Saudi Arabia, Kuwait and Qatar.